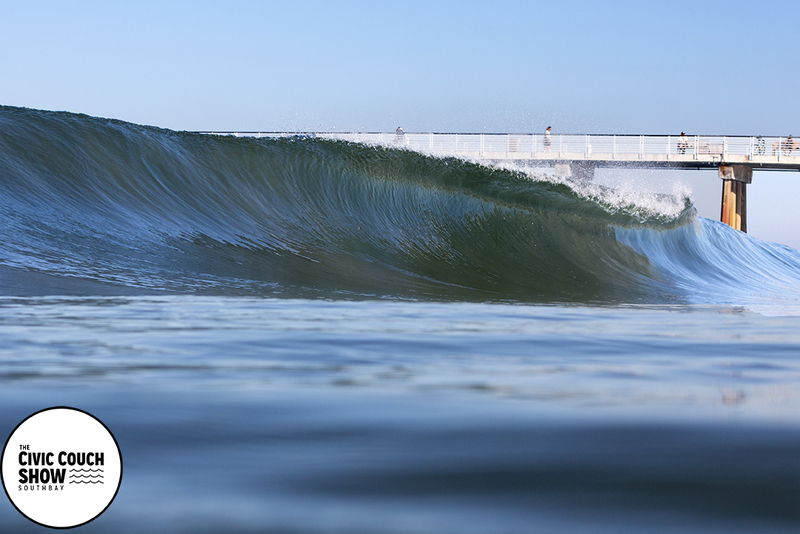 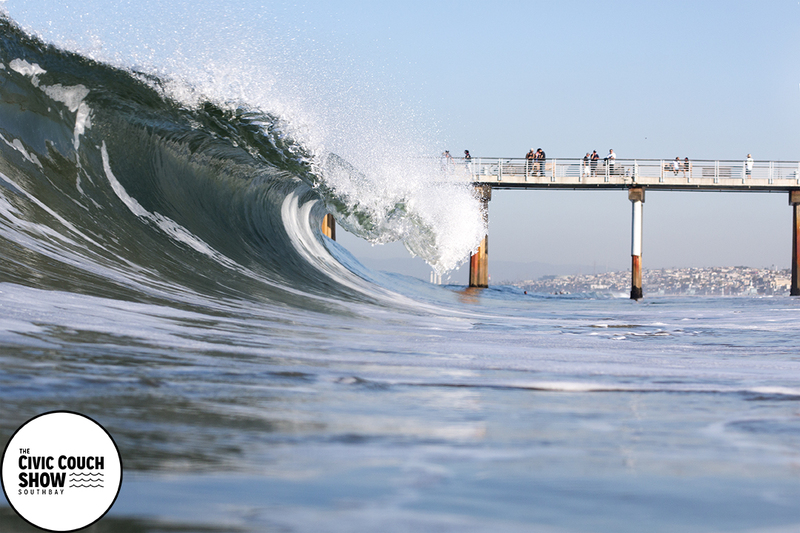 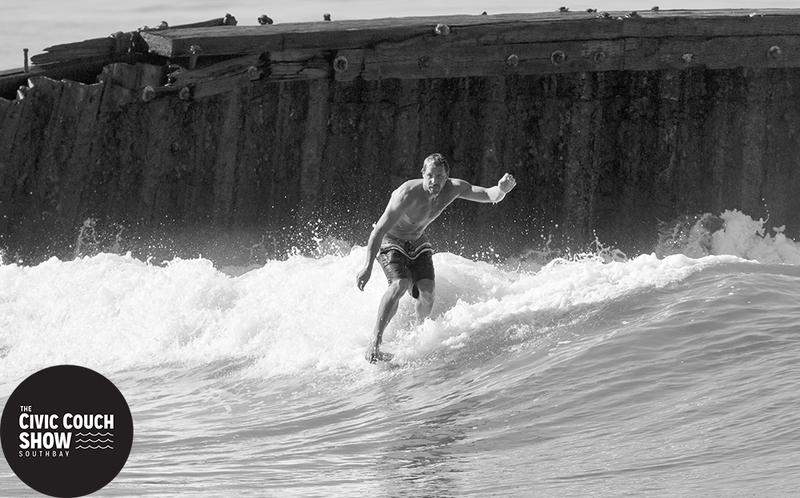 Los Angeles woke up from it’s summer long hangover in early November with spitting barrels. 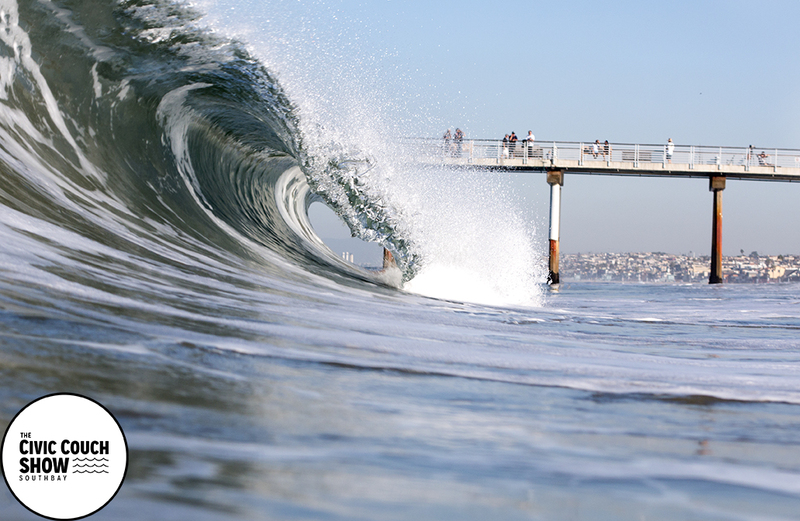 Civic Couch grabbed this surfing footage from one day (November 4 ) in the South Bay region of Los Angeles. 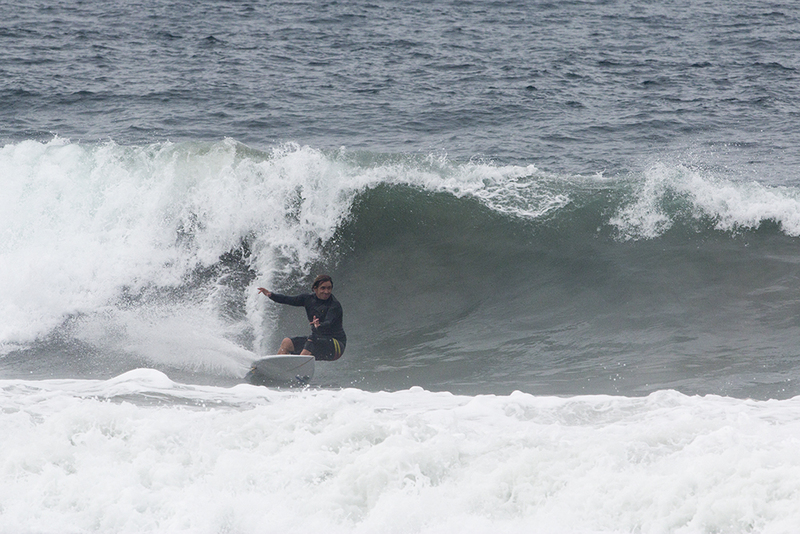 Waves in the head high plus range came through with some force as local surfers managed to drive through in and out barrels all morning. 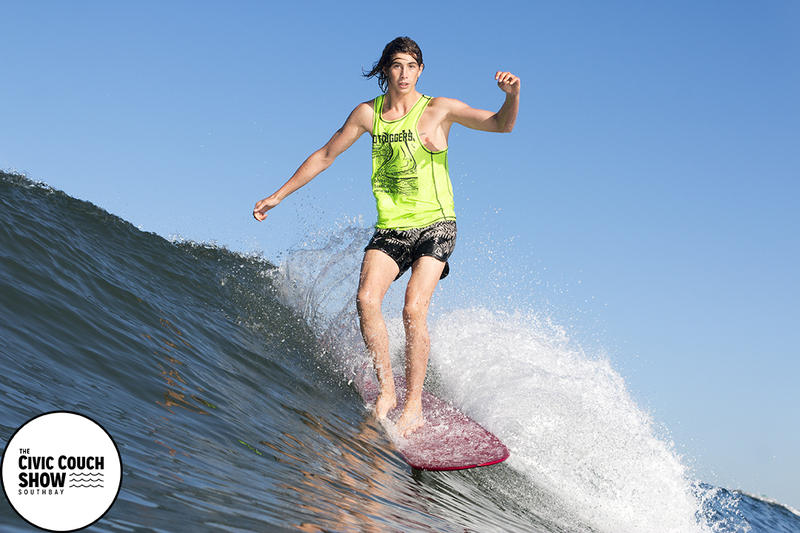 Surfers include: Noah Collins, Steve Howe, Vinny Leonelli, Chris Wells, Wil Reid,Brian Woods, Andy Prunauer, Bryce Lowe-White, Pat Webber, Greg Browning, Matt Meistrell, Will Borzi and others. 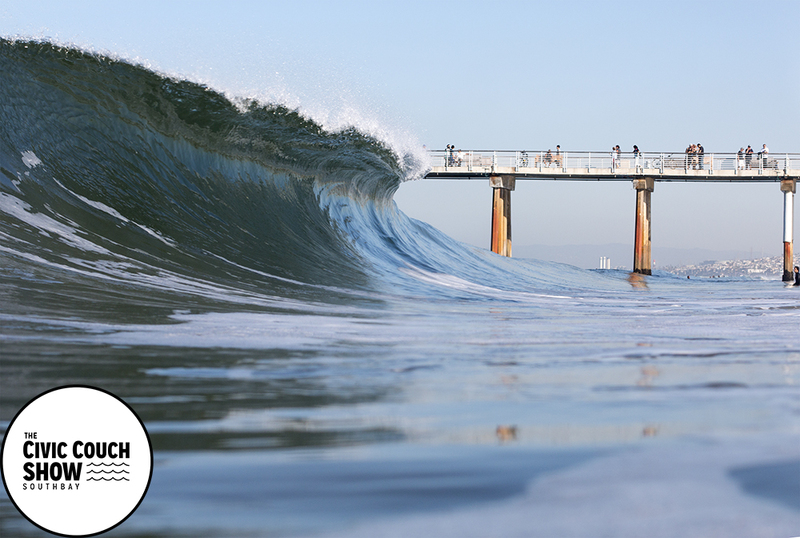 Everything from calm playful waves to crazy wind battered waves are featured in our new episode featuring last weeks swell in the South Bay. 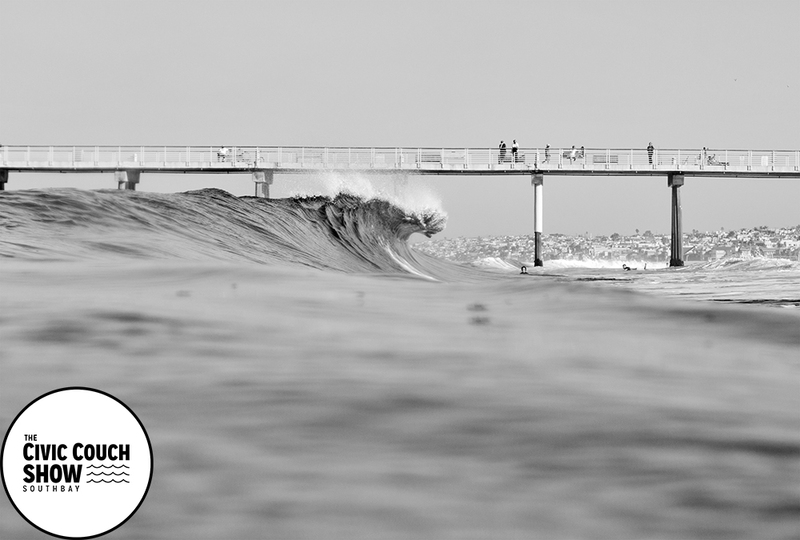 Civic Couch produced a short visual story about a swell that made it’s way into the South Bay region of Los Angeles for a few days in late October, 2015. 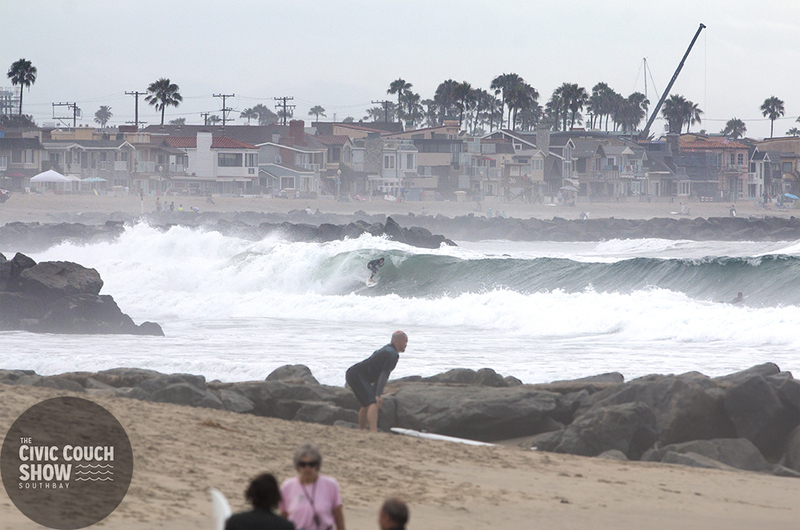 The waves did not pan out as expected but it still provided South Bay surfers with some fun waist to head high surf. 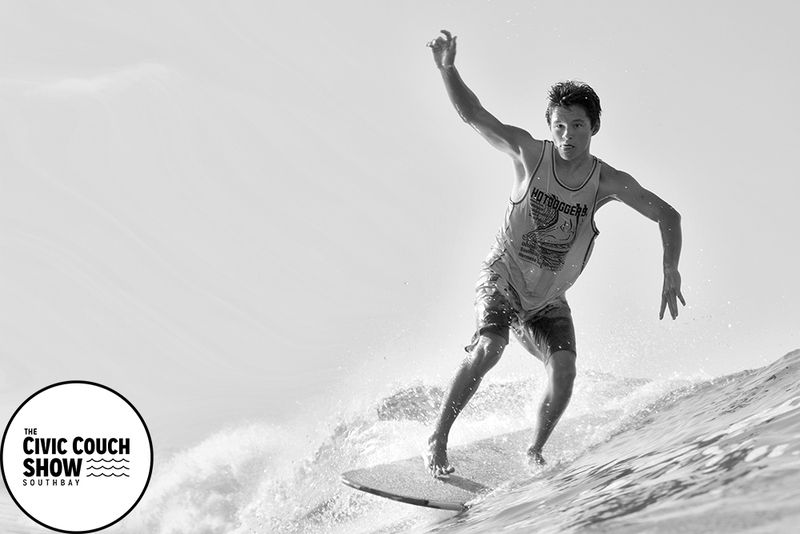 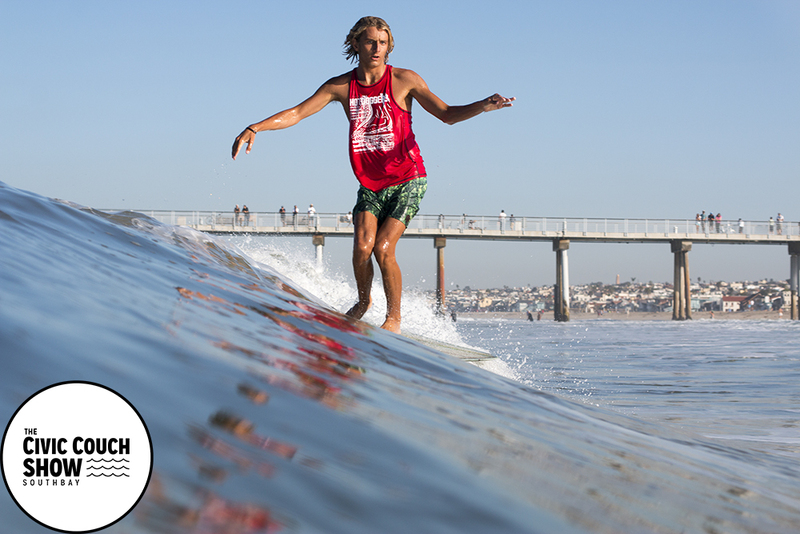 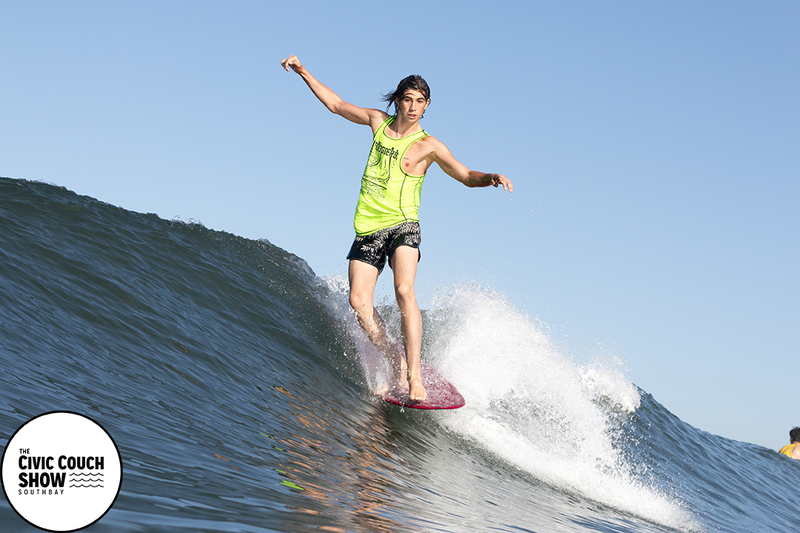 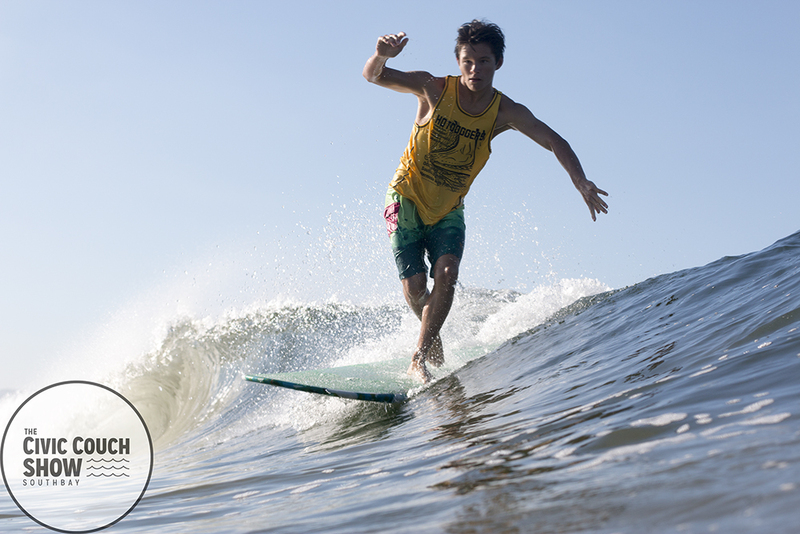 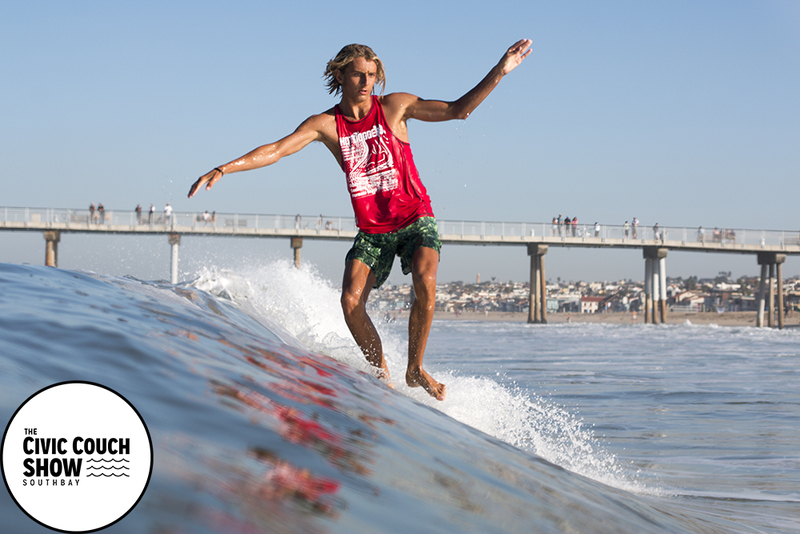 Surfers include: Noah Collins, Wil Reid, Dane and Kelly Zaun, Marc Jiminez, Cheyne Magnusson and others. 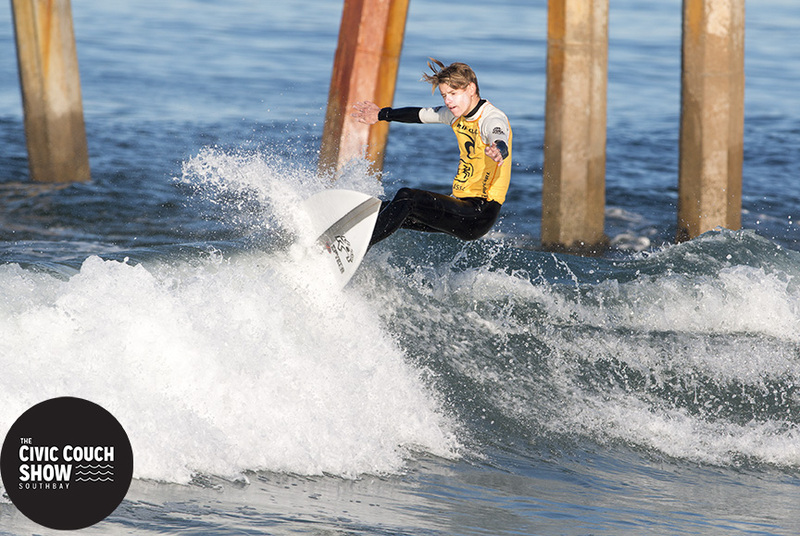 Local surfers Dane Zaun, Kelly Zaun, Shaun Burrell, Cheyne Magusson, Noah Collins, Bruna Schmitz, Kyle Brown and others took advantage of a swell that hit El Porto section of Manhattan Beach. 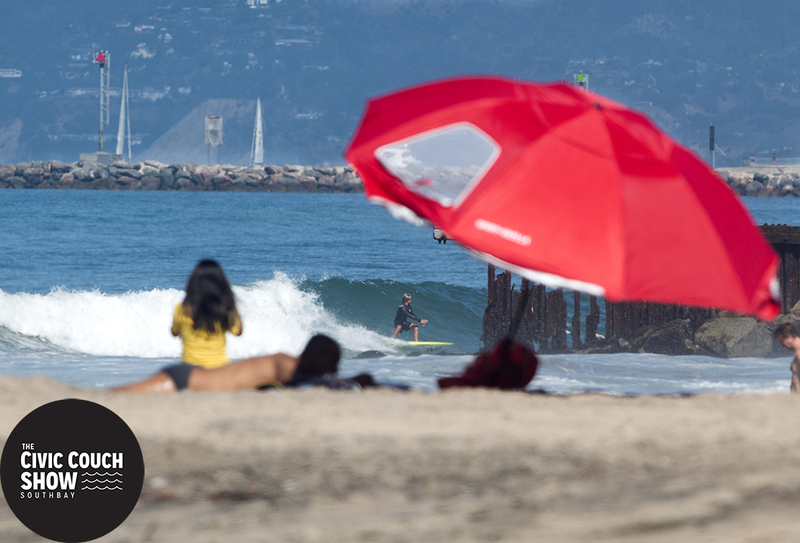 The swell brought waist to head high waves to the South Bay surf spot. 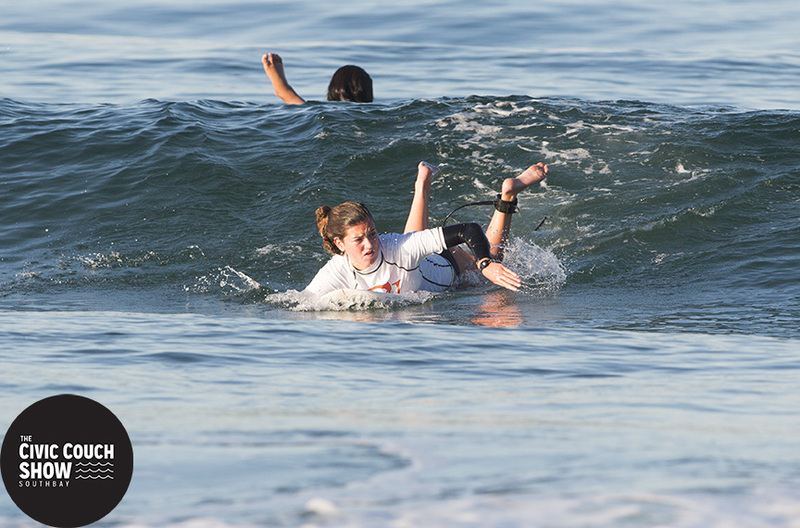 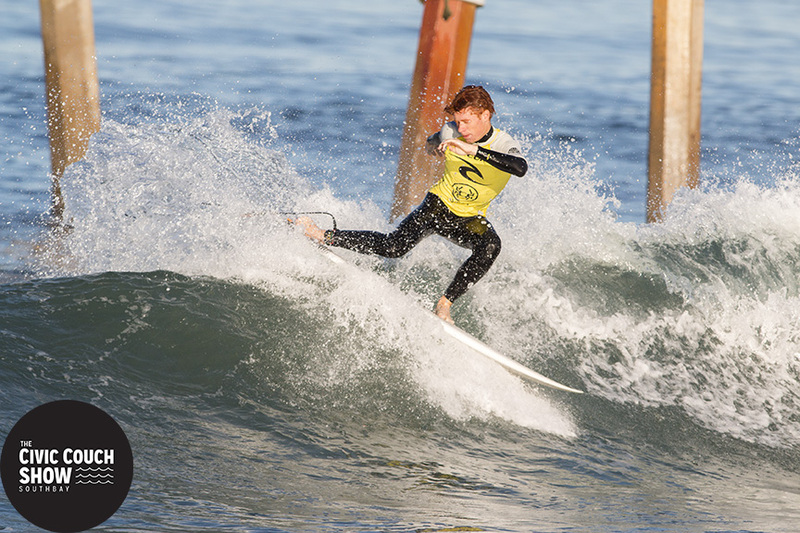 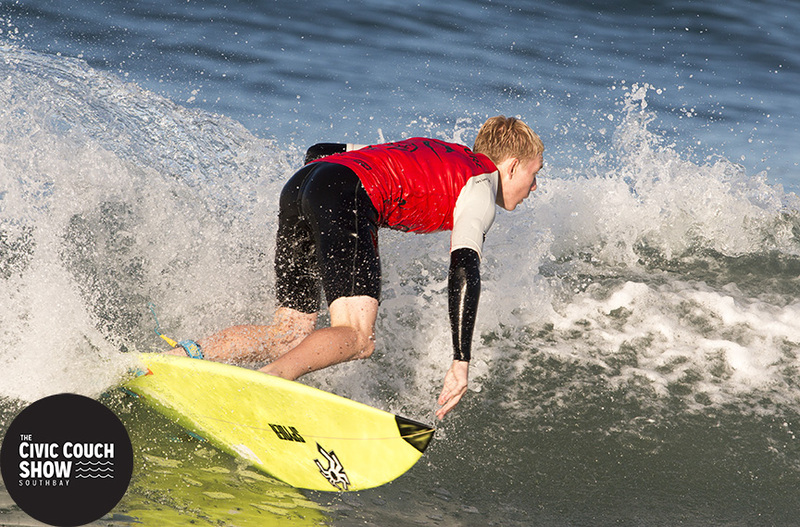 The South Bay Scholastic Surfing Association’s Annual Kick-Off Classic commenced on the south side of the Hermosa Beach Pier last Saturday, bringing out all of the top high school surfers in the area. 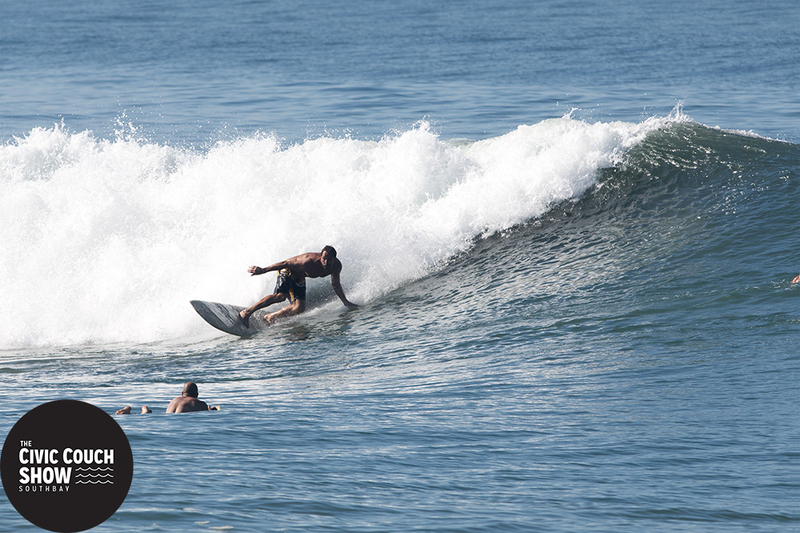 The surf stayed in the two to three foot range with morning jazzy and glassy conditions. 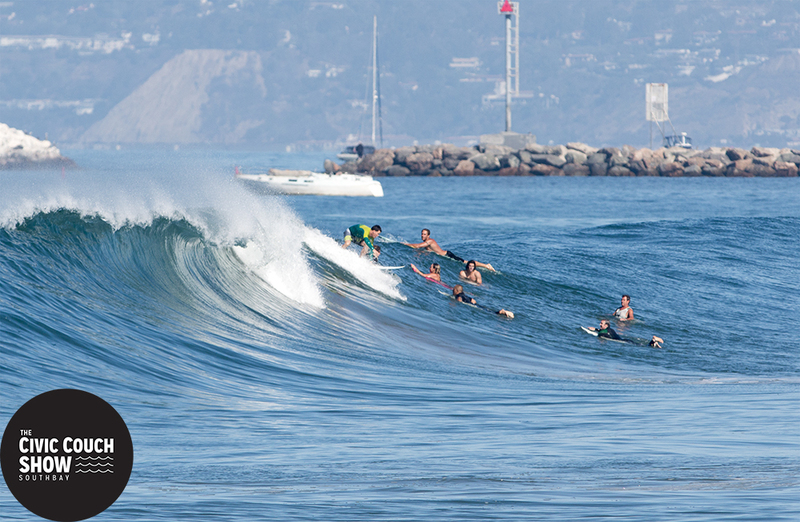 It wasn’t the first swell of the winter season to hit the South Bay but it was the first to pack the line up with local talent. 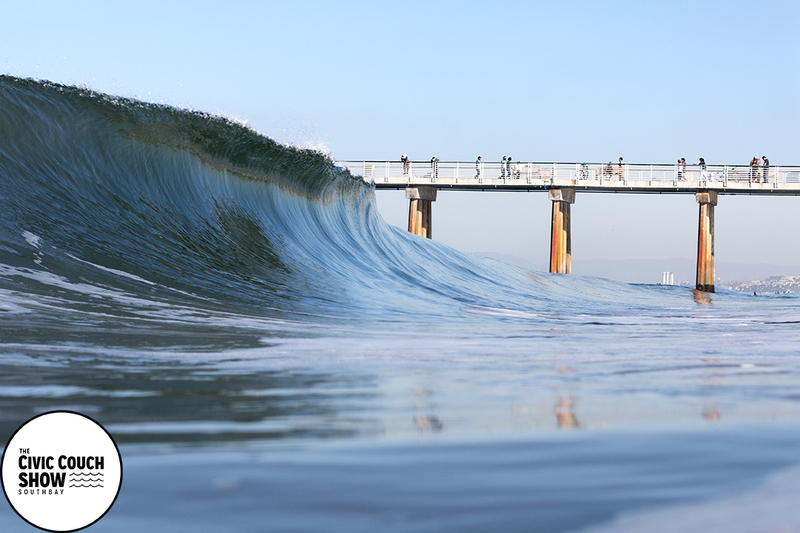 The October swell brought waist to head high surf to El Porto Beach in Manhattan Beach. 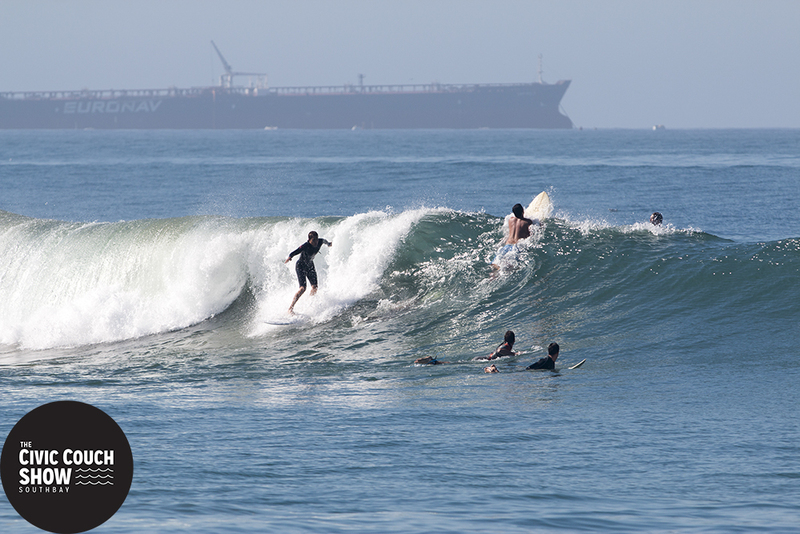 With the news of an el Nino winter, local surfers are sharpening their blades with these early swells. 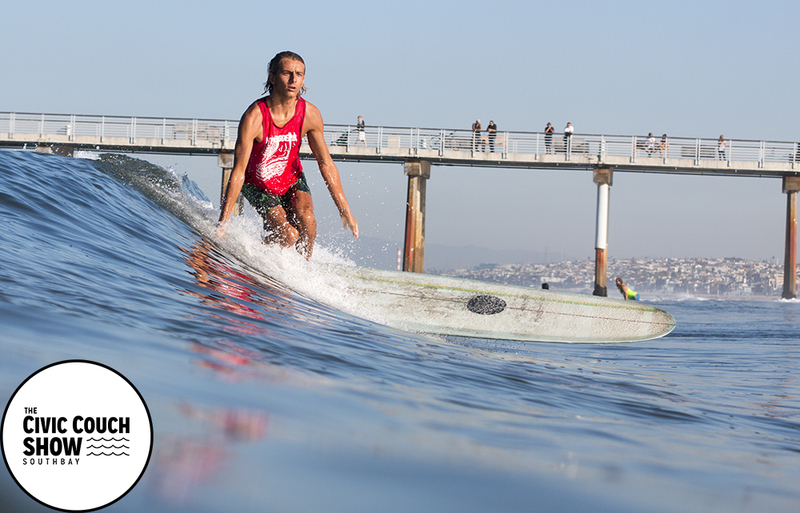 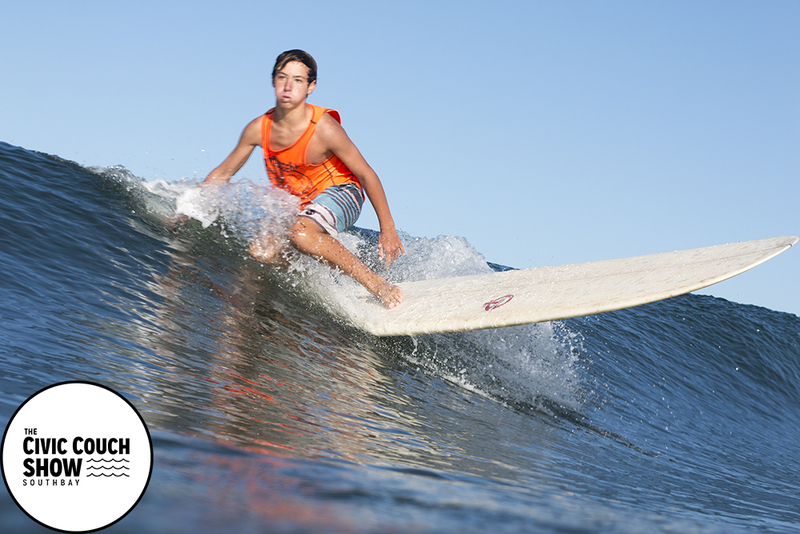 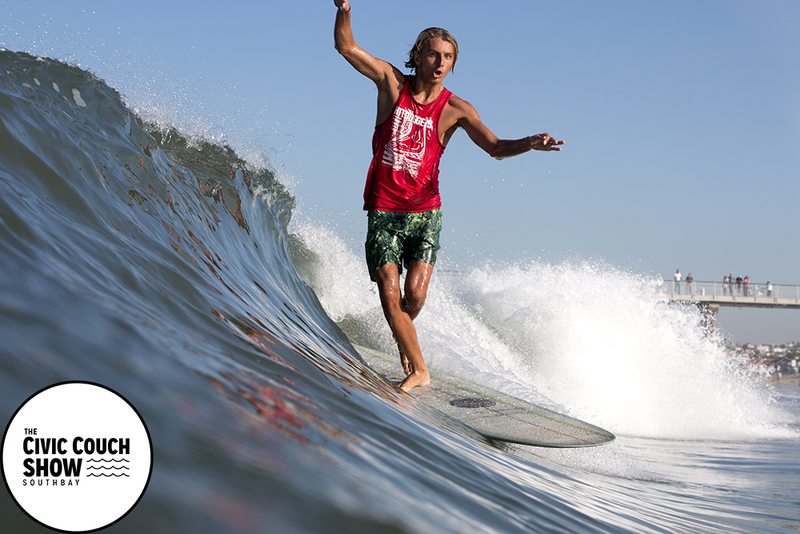 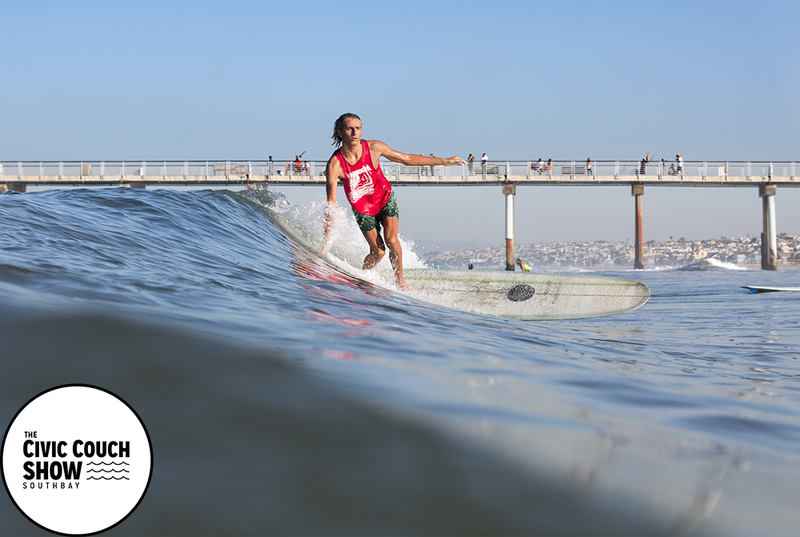 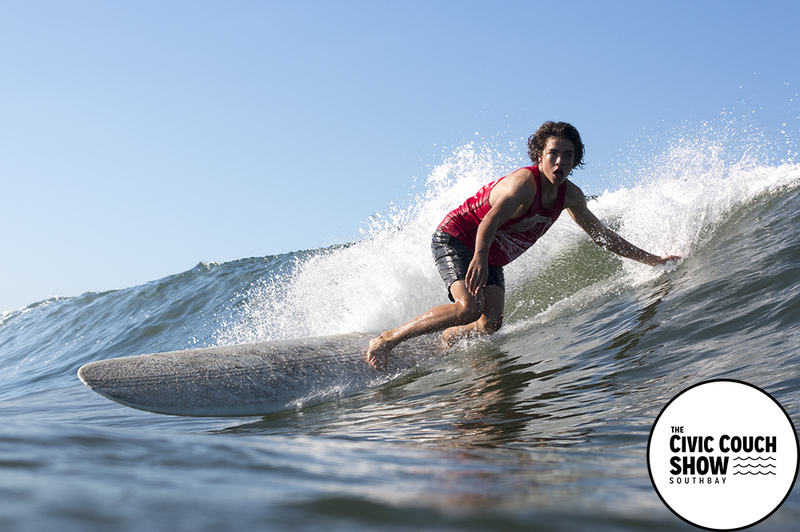 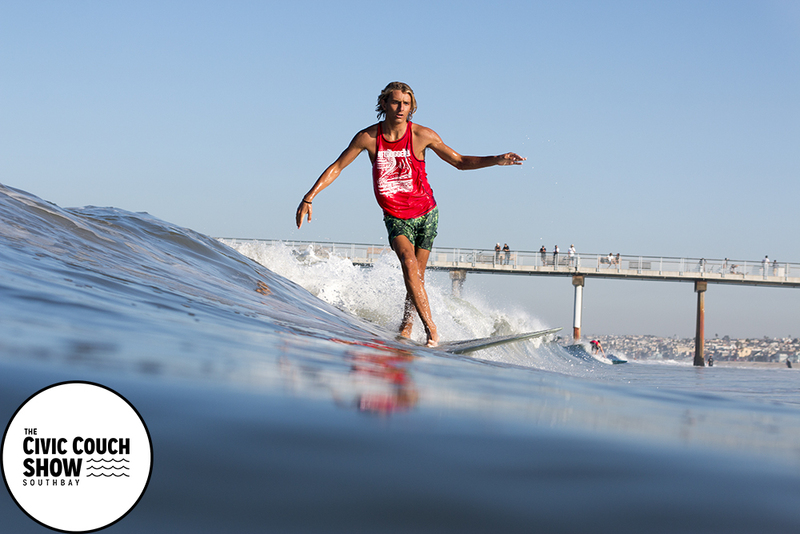 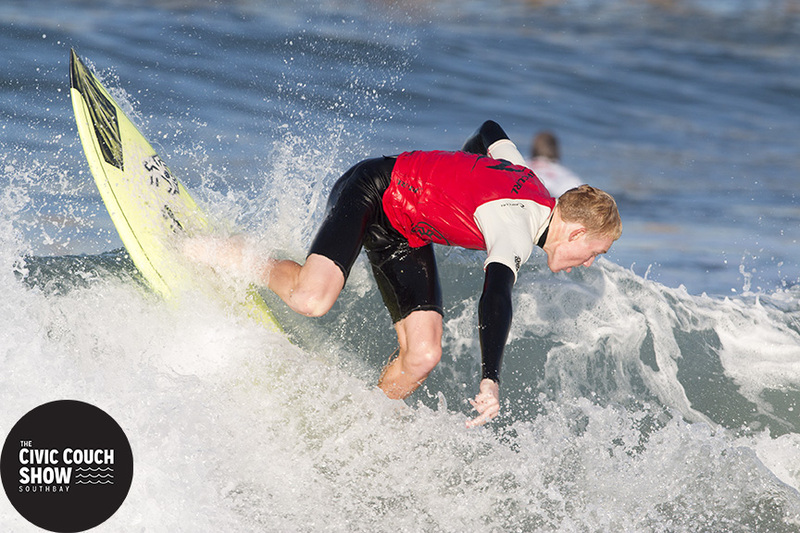 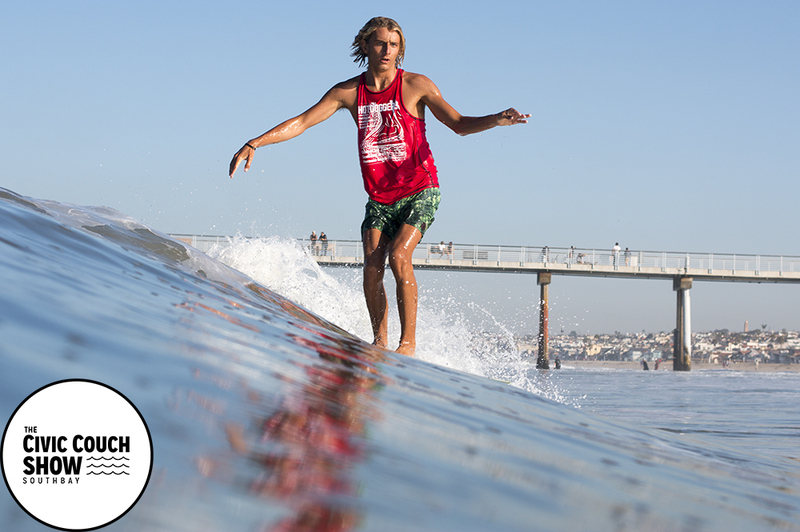 Surfers include: Dane Zaun, Tyler Hatzikian, Noah Collins, Chris Wells, Pat Murphy, Scott Johnsen and others. 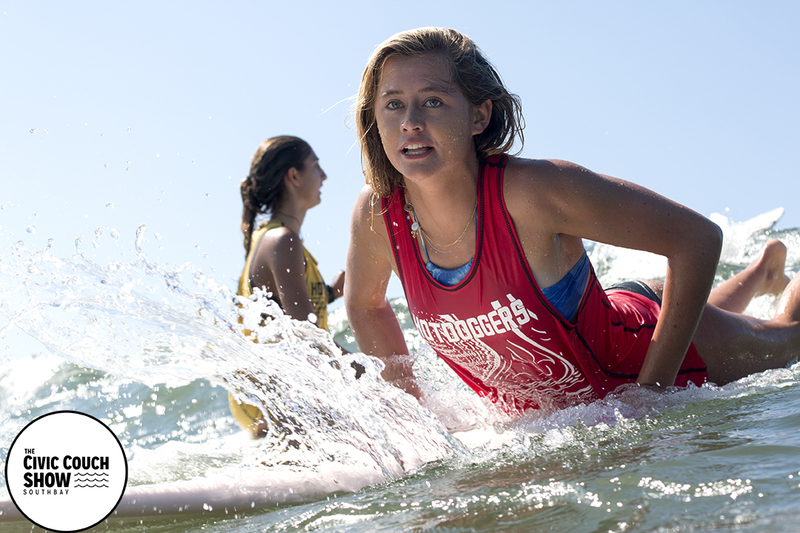 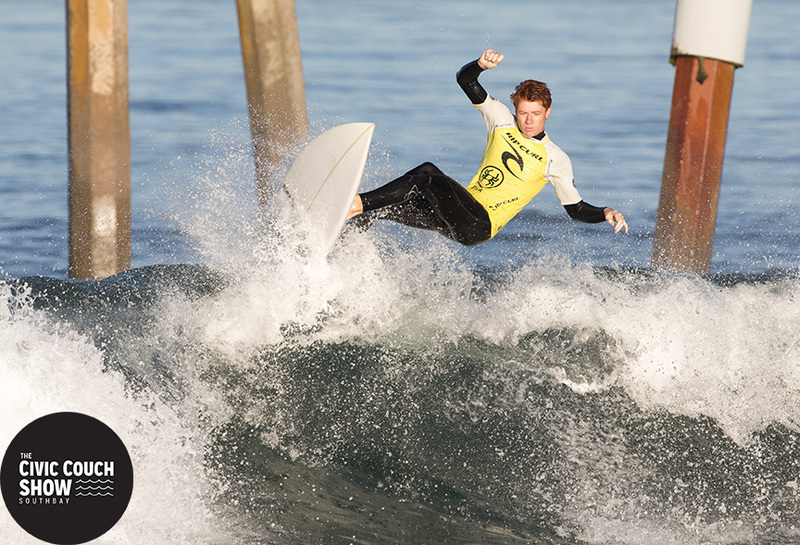 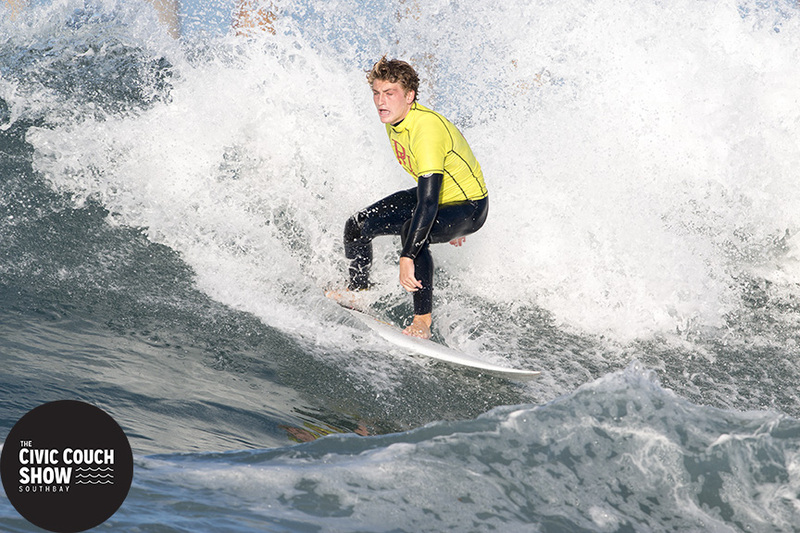 The Hermosa Beach Hotdoggers Surf contest wasn’t your normal contest. 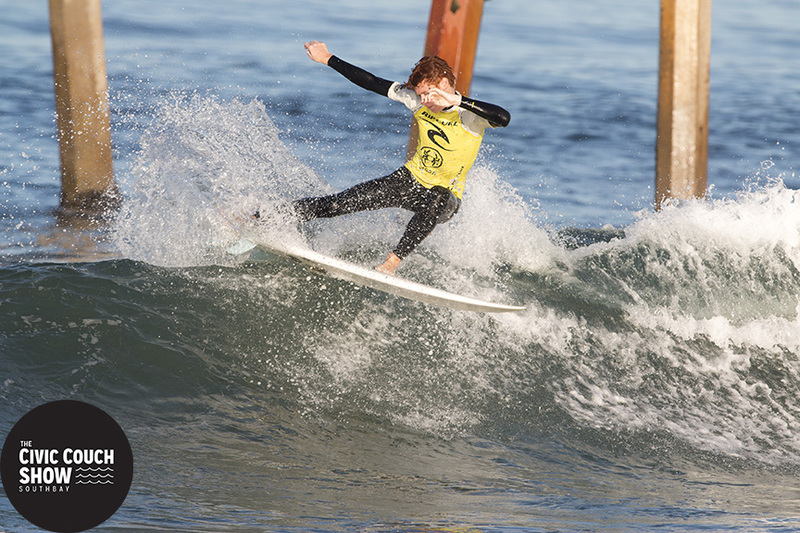 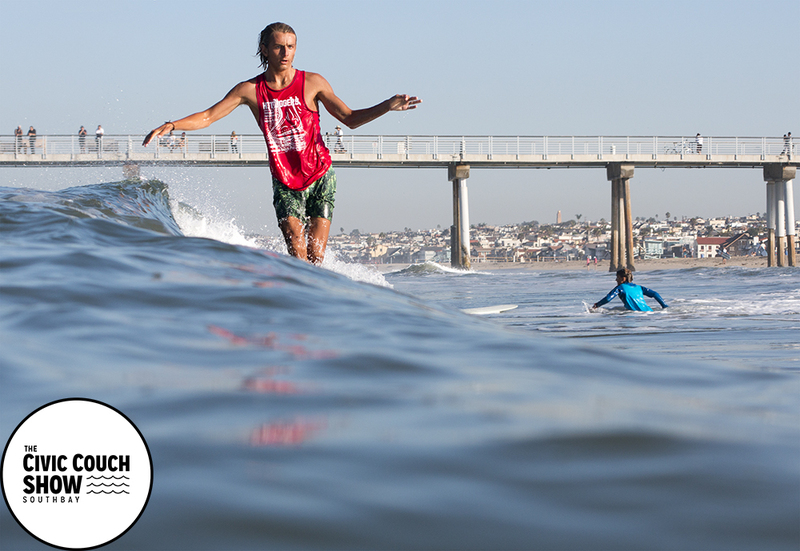 “The one thing I wanted to stress is that the Hermosa Beach Hotdogger Championship is not only about the action in the water,” contest co-director Ed Solt said. 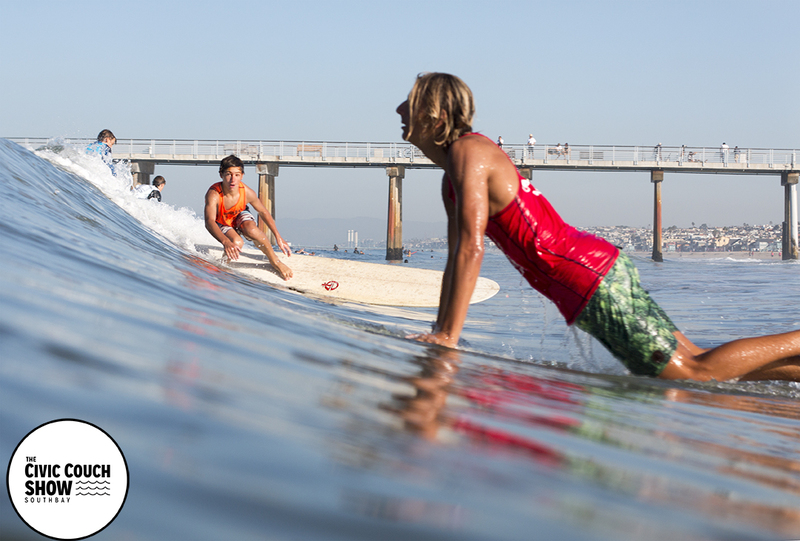 “It’s about getting the community together and having a good time. 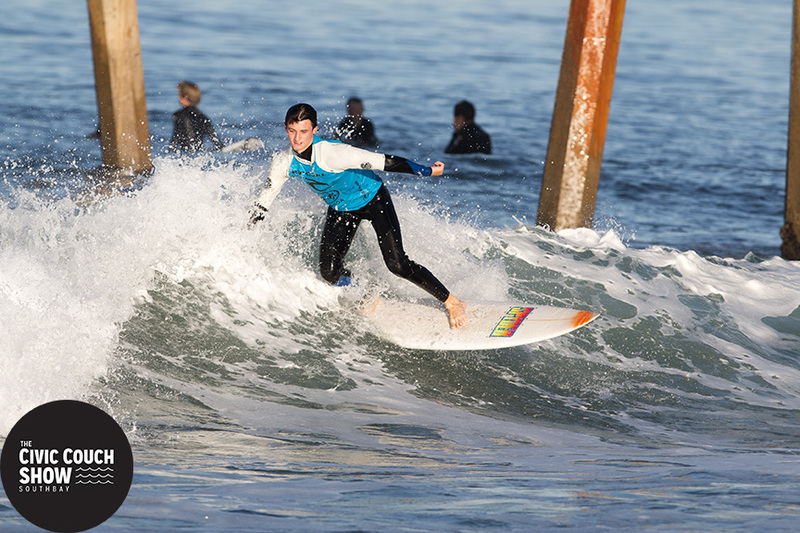 Without the volunteers, we wouldn’t have had a contest.” The contest took place on the south side of the Hermosa Beach Pier in knee to should high surf. 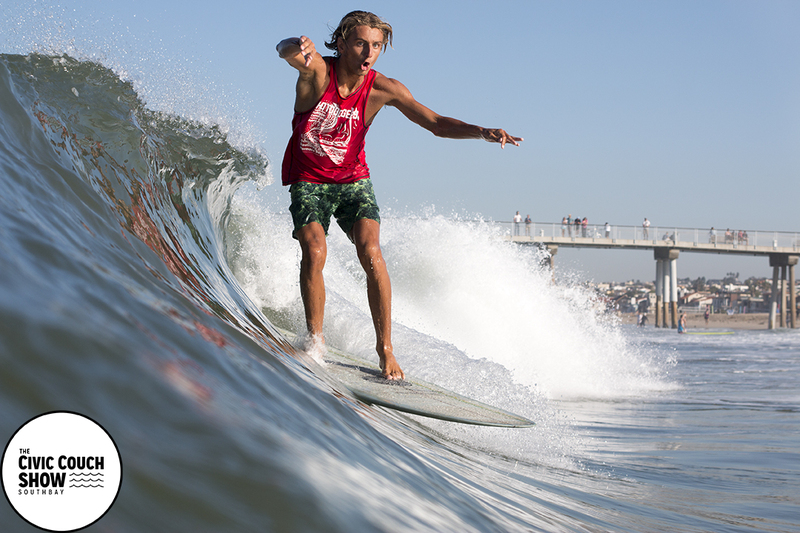 All photos by Brad Jacobson. 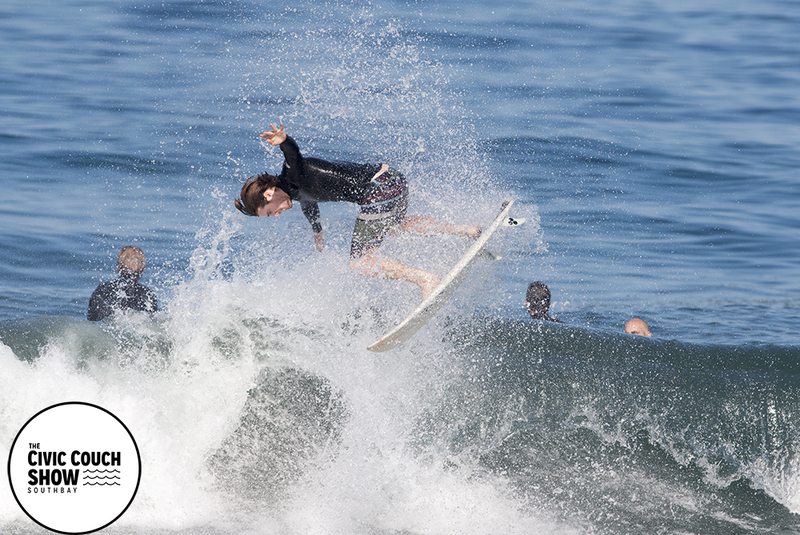 Contact brad@civiccouch.com for photo inquiries. 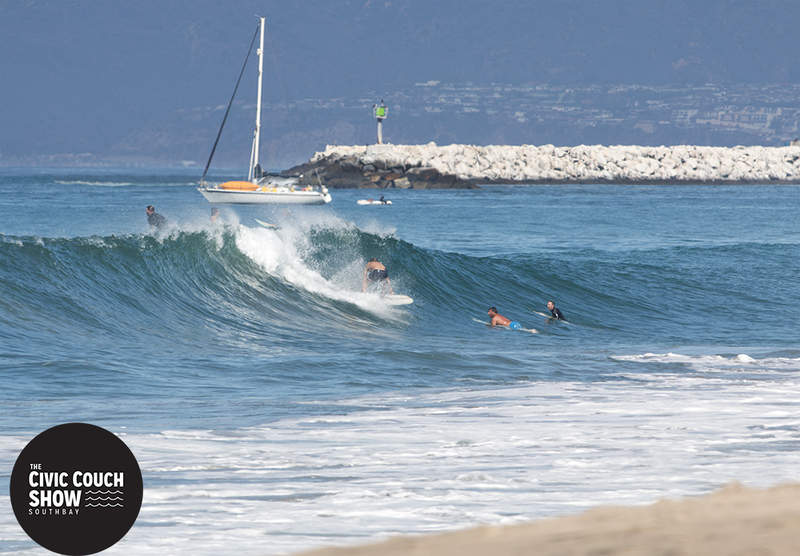 A South Swell found it’s way into the South Bay in early September offering up waist to shoulder high waves. 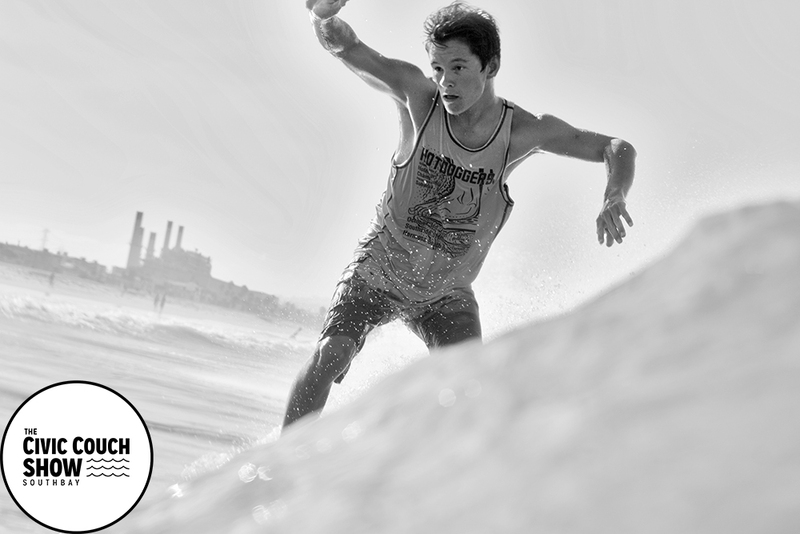 Not the best but definitely better than it’s been. 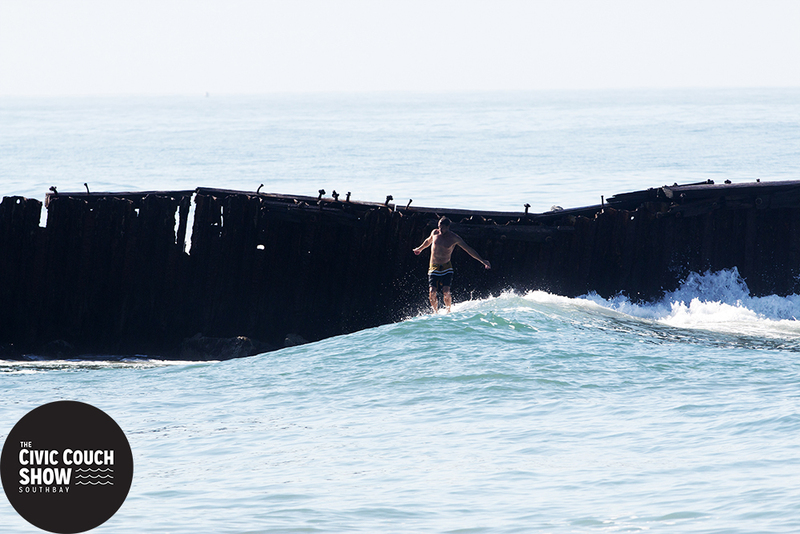 The water has been incredibly warm and our local surfers have been looking for any excuse to get out there and this small swell gave them a good reason. 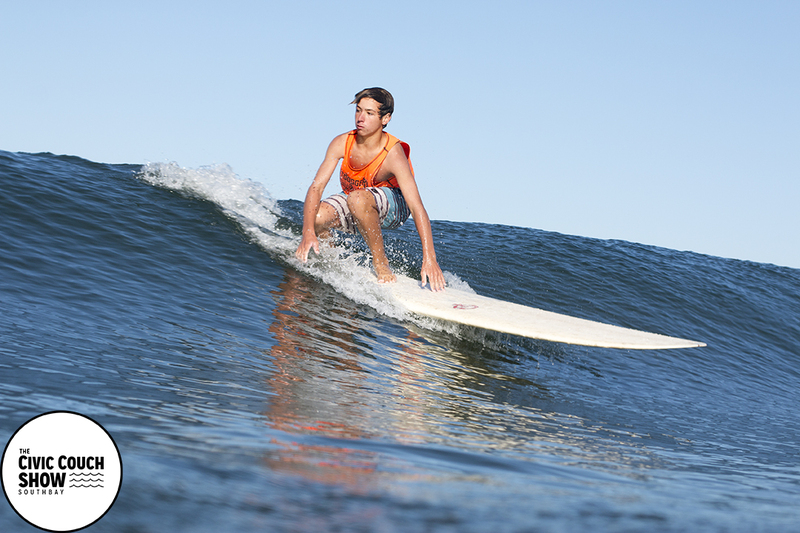 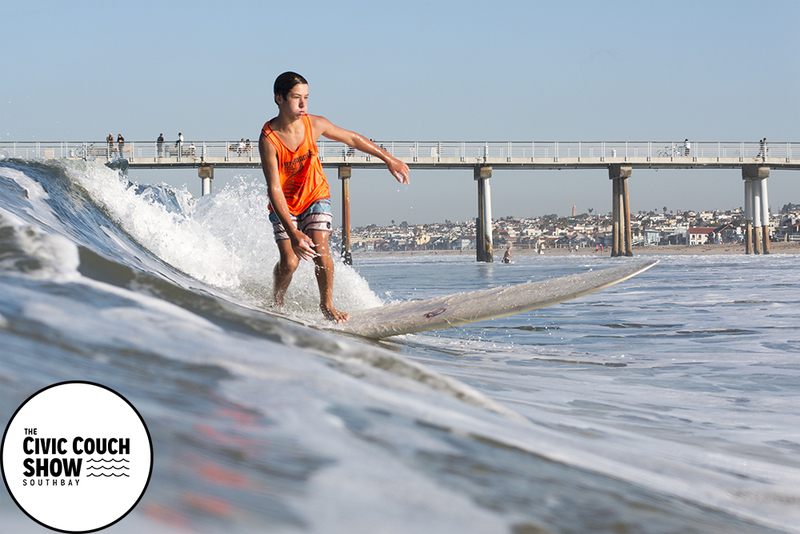 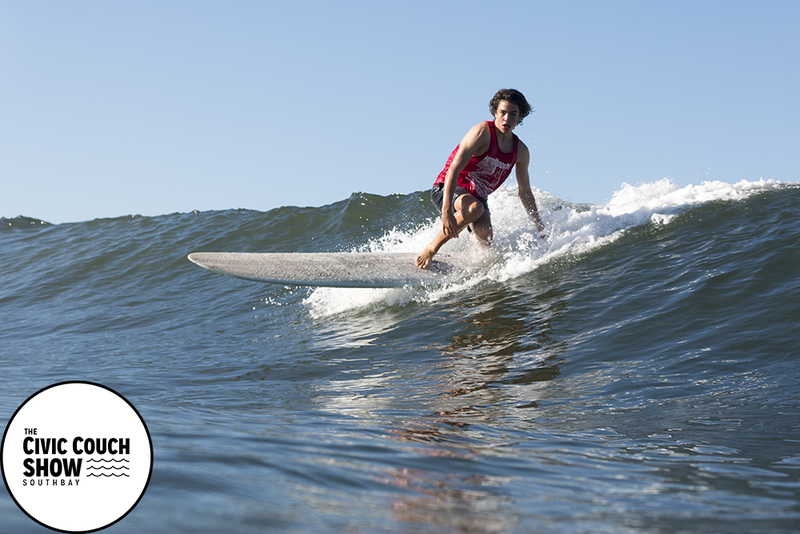 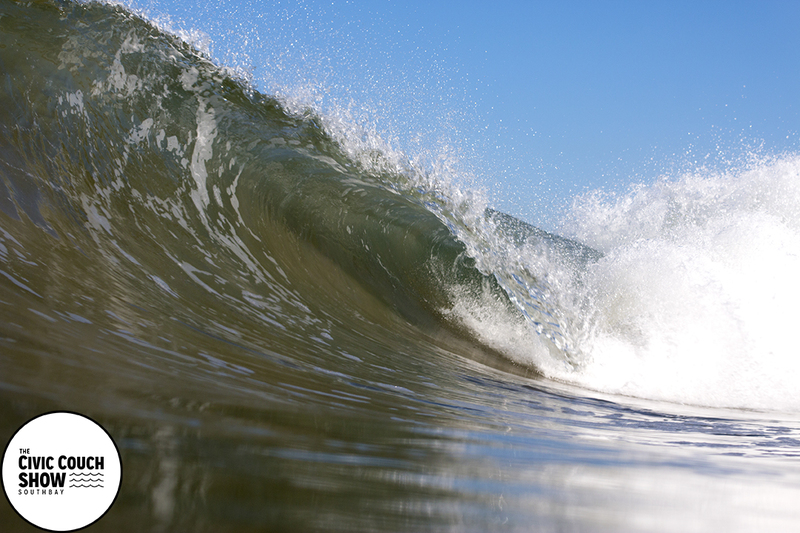 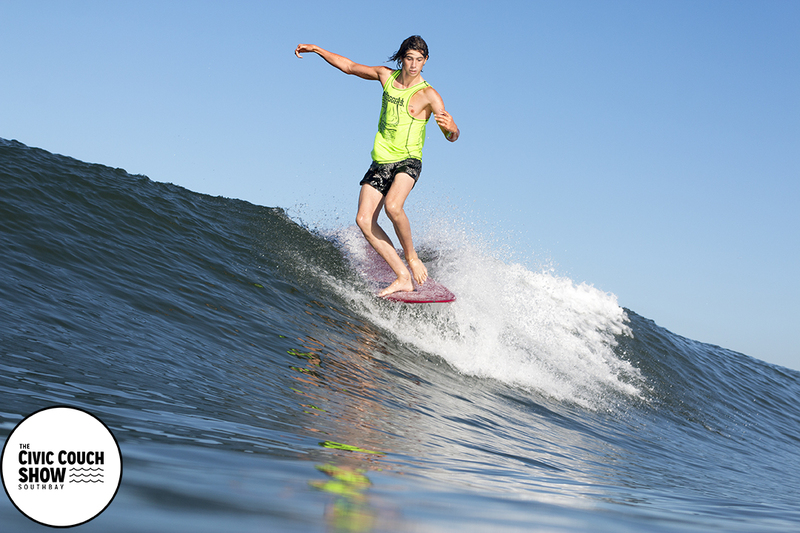 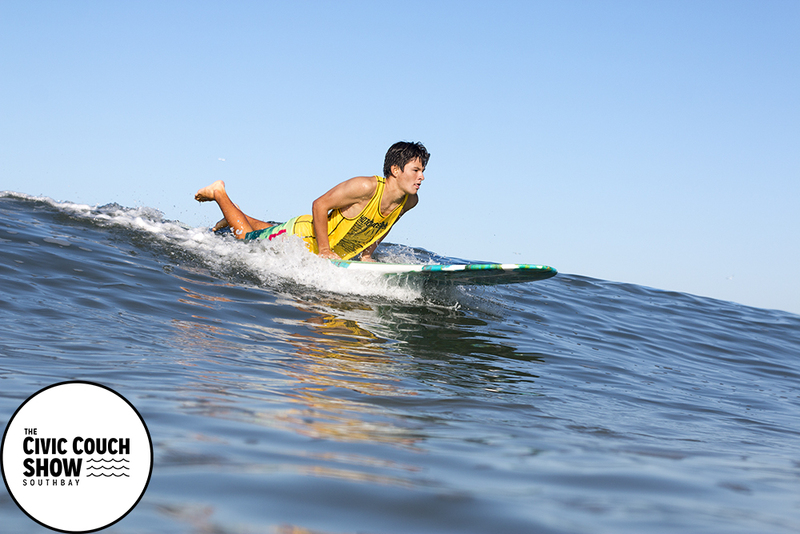 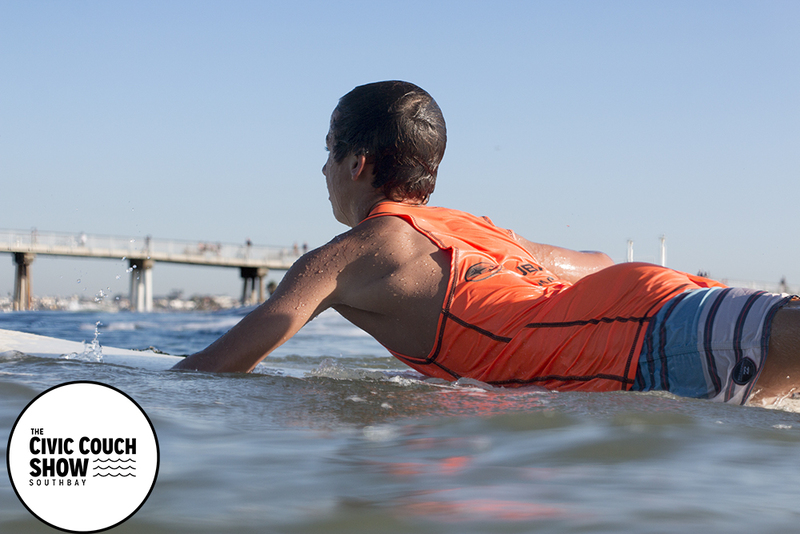 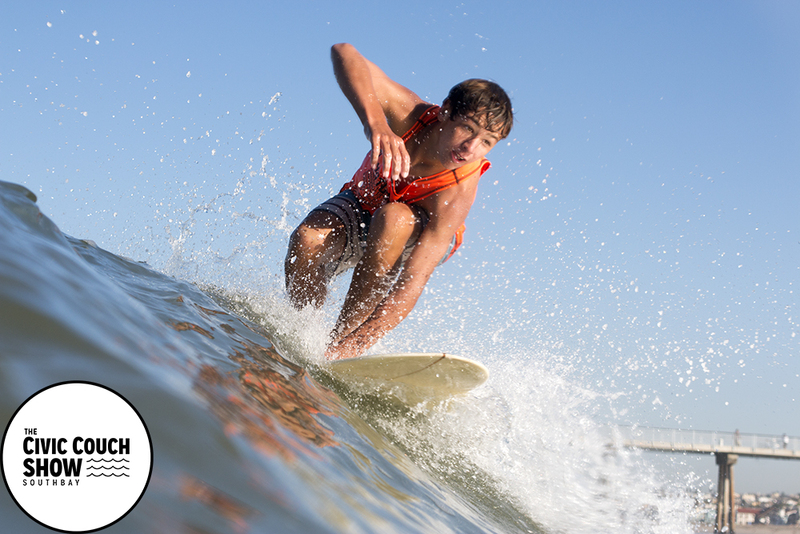 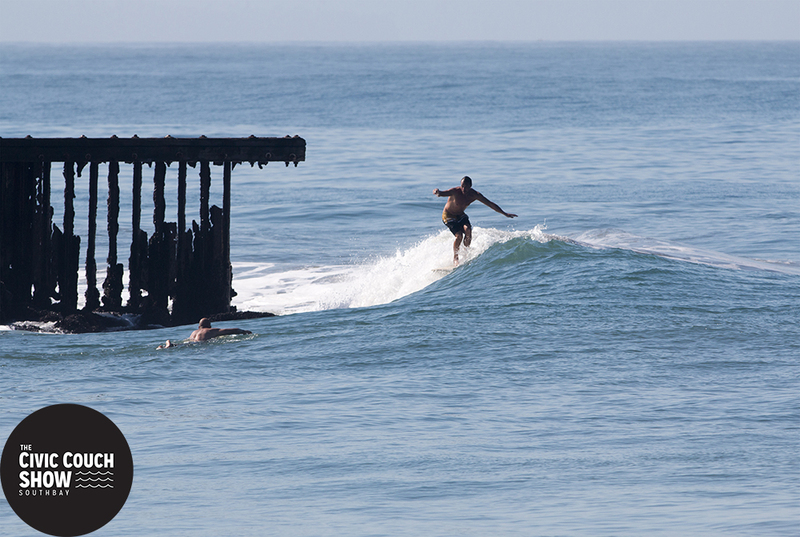 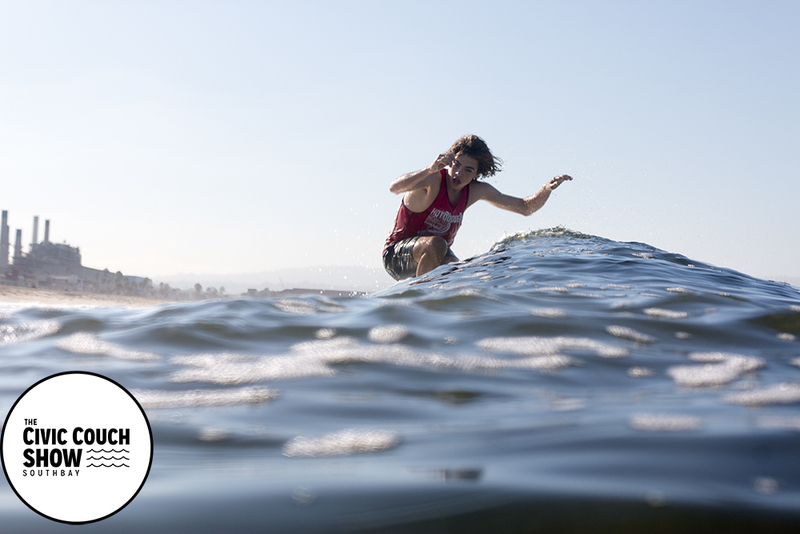 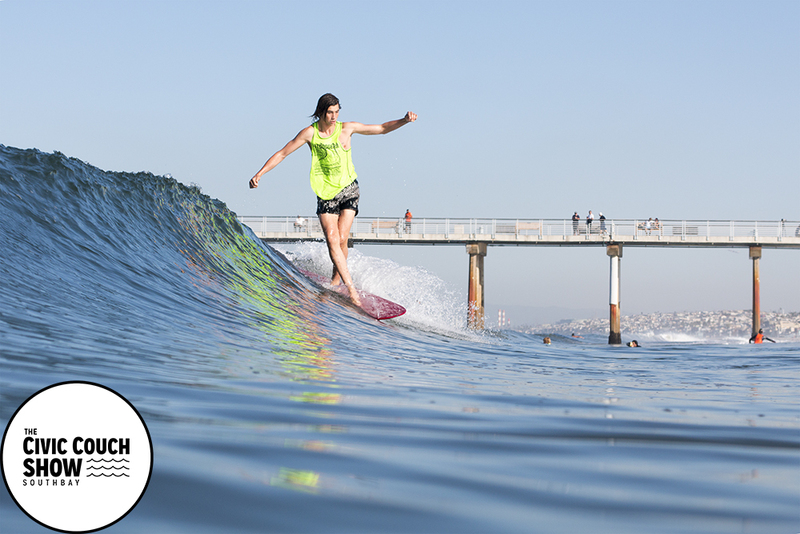 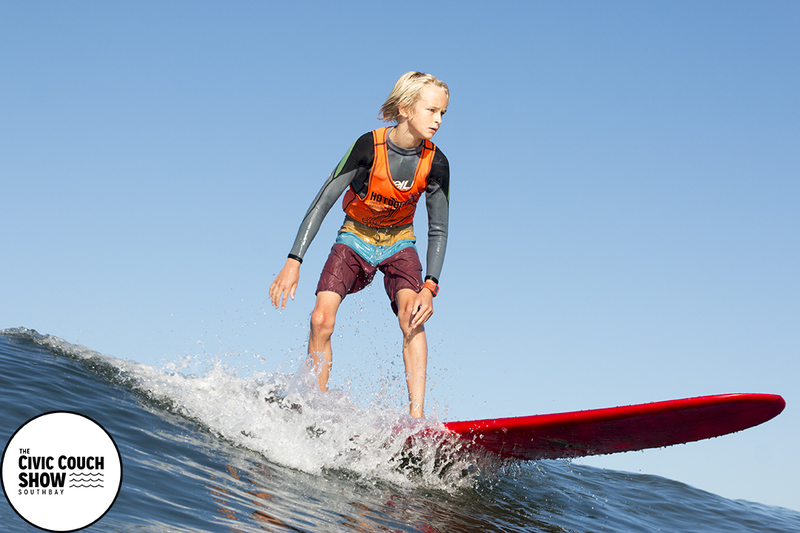 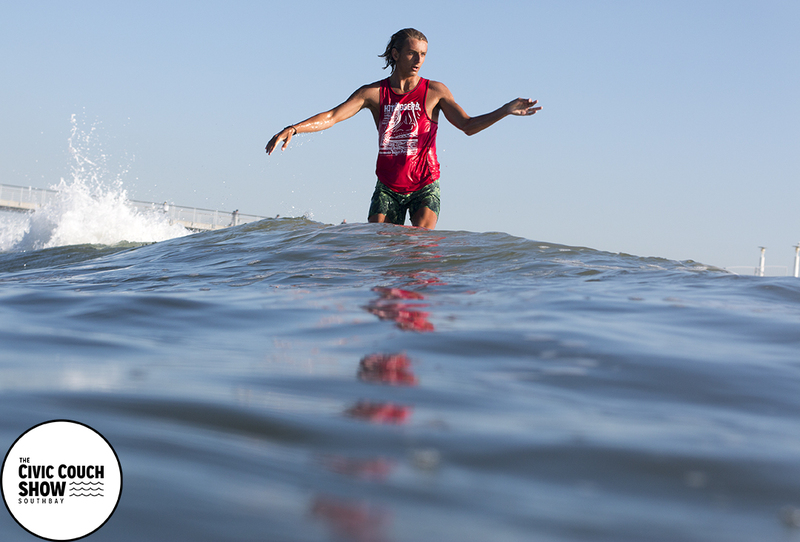 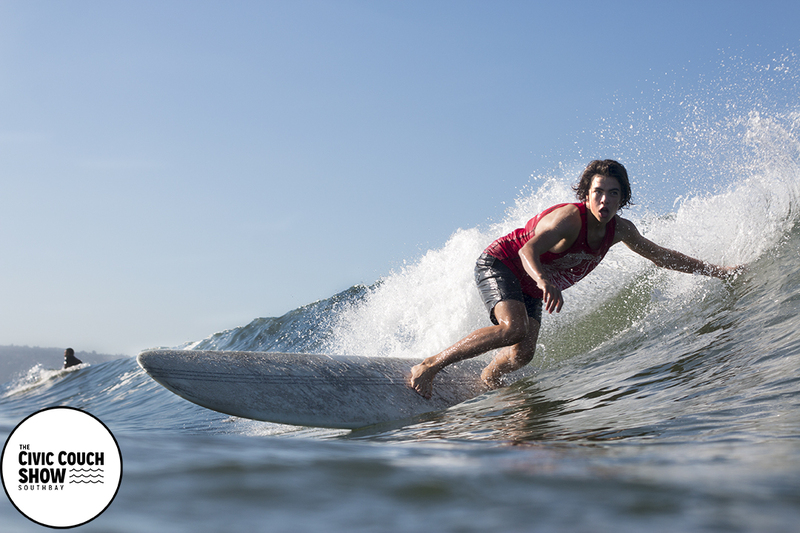 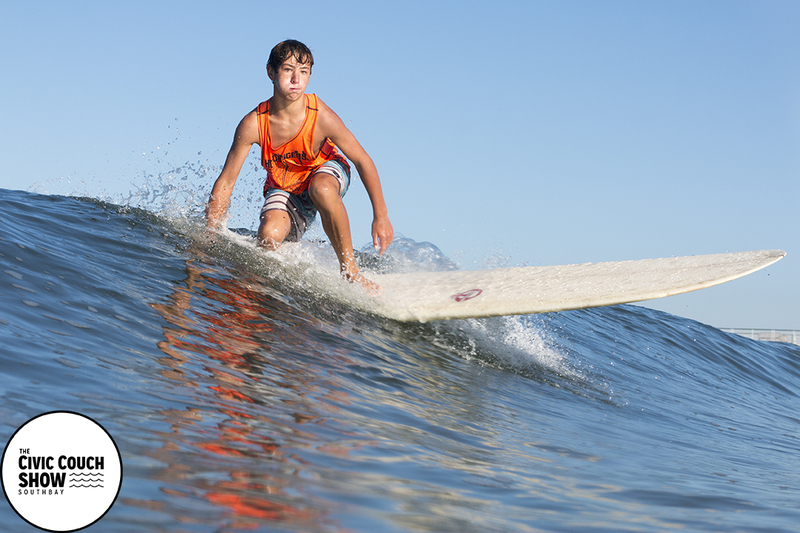 Summertime in the South Bay is notorious for small waves. 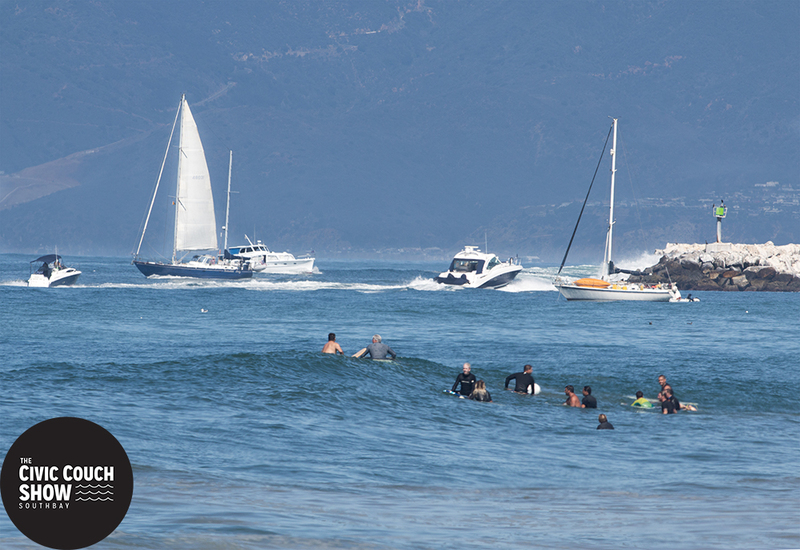 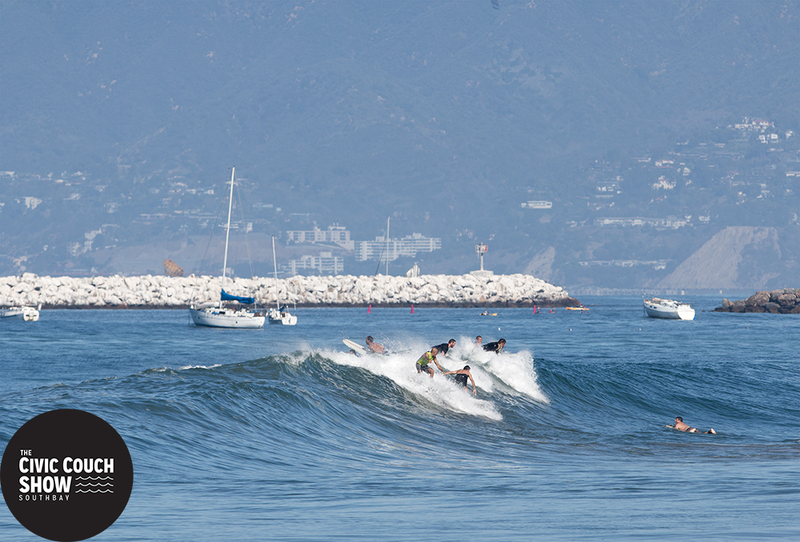 Summer in Southern California equals mostly South Swells which rarely make their way into our bay. 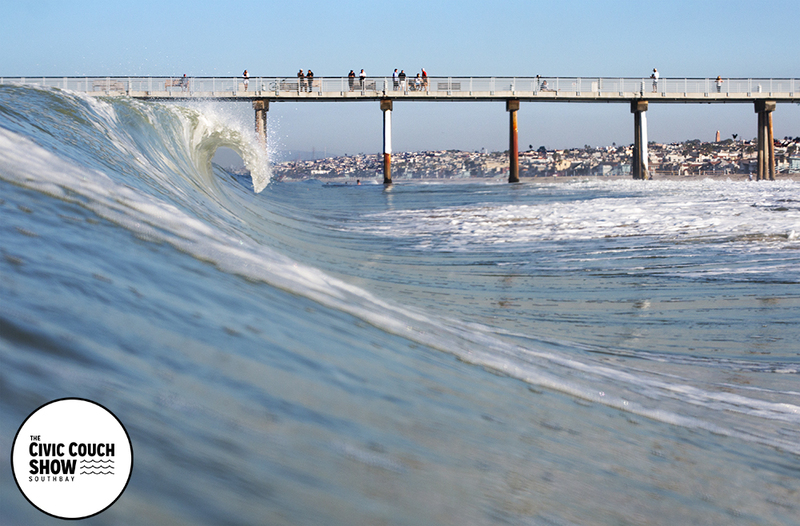 We packed up our stuff and headed south to capture some big wave action at the Wedge in Newport Beach. 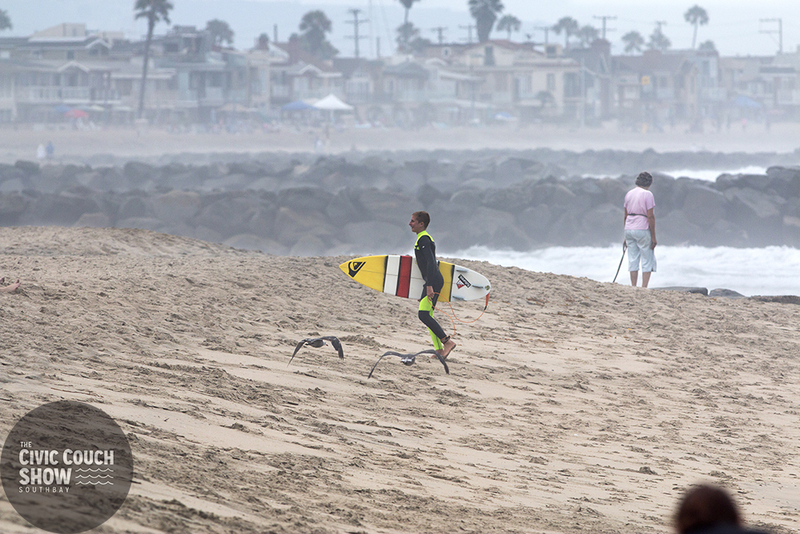 Reports of waves heading to the Southern California coast stemming from Hurricane Dolores sent us down south in hopes of scoring so long awaited surf. 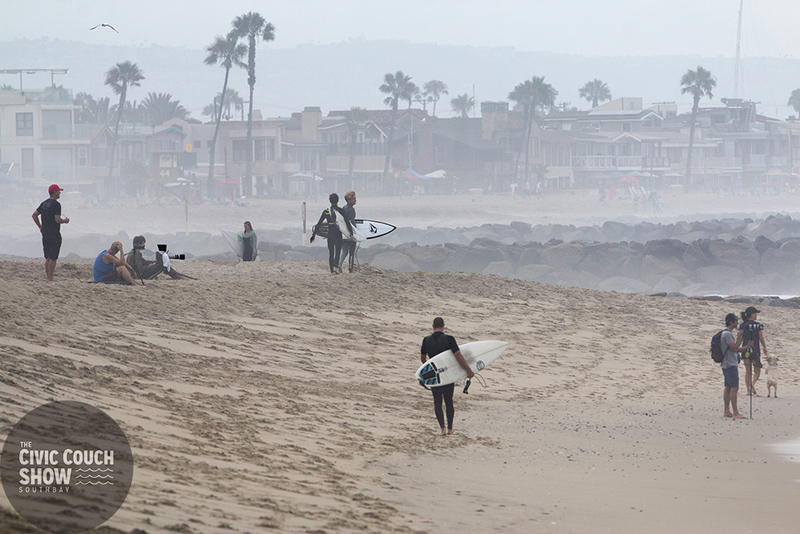 Watching to forecast we could tell that this swell was not going to be big enough to push the Wedge alive, so we played it safe and hit north Newport Beach instead. 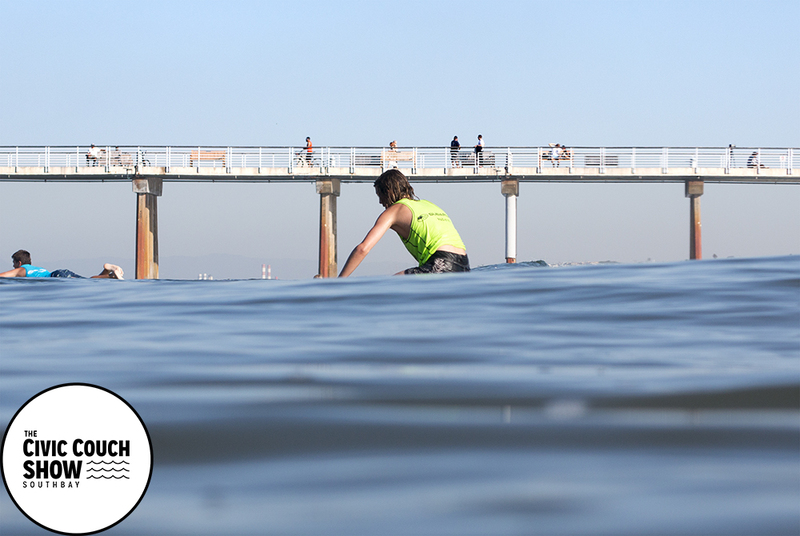 Unfortunately the south winds started blowing early, giving a choppy texture to the surface. 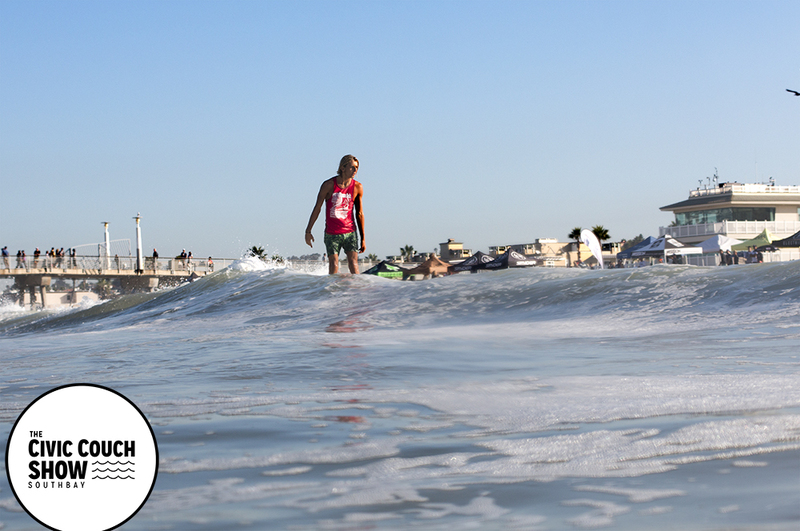 The waves were still better than anything we’ve seen lately so Chris Wells, Noah Collins, Nate Yeomans, Colin Eric,Marley Puglielli, Tomas Tudela, Shaun Burrell, Trever Challenor and others went out and charged the lefts.